Television • 10-hour series premieres Wednesday, June 20, on the Paramount Network. Taylor Sheridan could probably work pretty much anywhere he wants. He wanted to work in Utah. And he brought Kevin Costner along with him. Paramount Network handed him his own television series and told him he could pretty much do whatever he wanted. He’s also an actor, with a long list of credits that includes recurring roles in “Veronica Mars” and “Sons of Anarchy.” But the one thing he didn’t want to do was work in Hollywood itself. Which is why “Yellowstone” was filmed entirely on location in Utah and Montana. 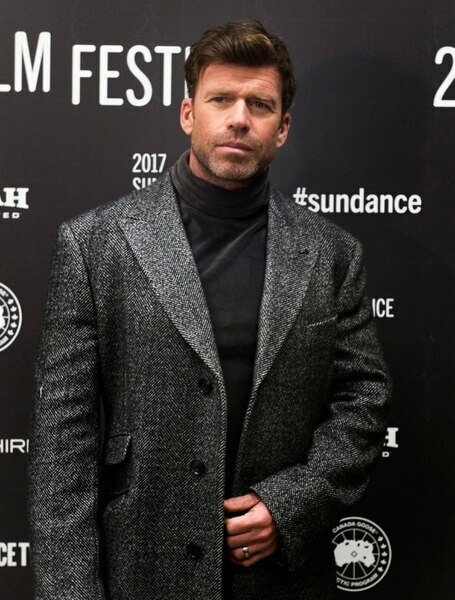 Rick Egan | The Salt Lake Tribune Writer/director, Taylor Sheridan, at the Eccles Theatre for the world premiere of ÒWind RiverÓ at the 2017 Sundance Film Festival in Park City, Saturday, January 21, 2017. 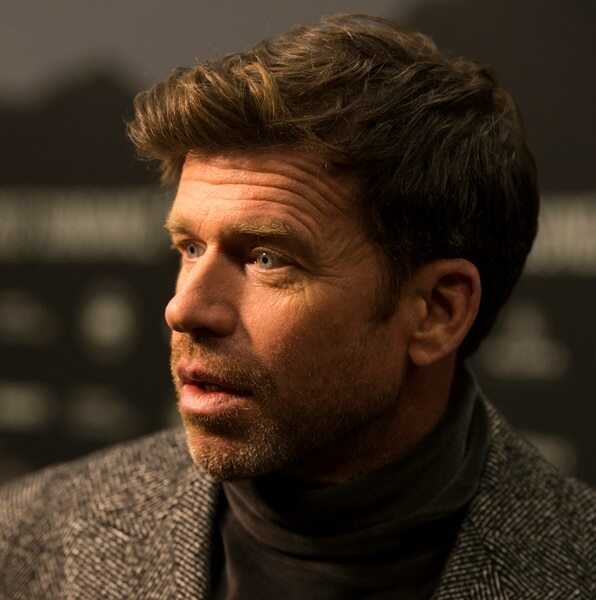 Rick Egan | The Salt Lake Tribune Writer/director, Taylor Sheridan, at the Eccles Theatre for the world premiere of ÒWind RiverÓ at the 2017 Sundance Film Festival in Park City, Saturday, January 21, 2017. 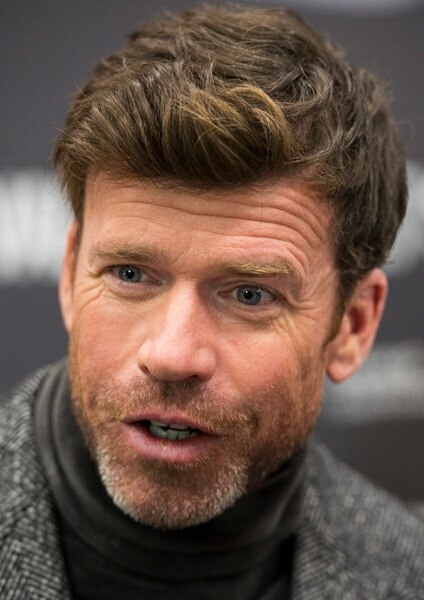 Rick Egan | The Salt Lake Tribune Director/writer, Taylor Sheridan, at the Eccles Theatre for the world premiere of ÒWind RiverÓ at the 2017 Sundance Film Festival in Park City, Saturday, January 21, 2017. Rick Egan | The Salt Lake Tribune Elizabeth Olsen, Taylor Sheridan and Jeremy Renner at the Eccles Theatre for the world premiere of ÒWind RiverÓ at the 2017 Sundance Film Festival in Park City, Saturday, January 21, 2017. “[Co-creator] John [Linson] and I came up with this idea because we didn’t want to work in Southern California,” Sheridan said. “We wanted to do something big and cinematic and take advantage of these great locations. … There’s nothing else like this on television. The 10-hour first season of “Yellowstone” is big, with a lot of characters involved in a lot of intertwined plot lines playing out on a huge canvas. At the same time, it’s a hugely personal project — Sheridan wrote and directed all 10 hours himself, an enormous undertaking. “I don’t recommend it,” he said. The truth is that Sheridan didn’t plan on writing and directing the entire first season of “Yellowstone” all by himself, it just sort of happened that way. Paramount ordered “Yellowstone” in June 2017; it went into production in August. About two-thirds was shot in Utah with the other third in Montana, where the series is set. Costner described his character as a “complicated” man who is “half in the Western world and he’s half modern-day CEO.” John Dutton looms large over everything that happens in “Yellowstone.” A widower, he’s the patriarch of a family filled with conflict. And he controls the largest contiguous ranch in the United States — which is under siege from land developers and the adjacent Indian reservation and its tough, smart new leader, Thomas Rainwater (Gil Birmingham). Dutton’s son Jamie (Wes Bentley) is a lawyer who seeks his father’s approval while hiding a personal secret. Daughter Beth (Kelly Reilly) is a shark in the business world. Son Kayce (Luke Grimes) lives with his American Indian wife, Monica (Kelsey Asbille), on the reservation. And son Lee (Dave Annable) is the closest to his father — and the heir apparent to lead the family empire. (Rick Egan | The Salt Lake Tribune) Stage crews prepare to shoot a helicopter scene for the upcoming Paramount Network series Yellowstone on a soundstage at Utah Film Studios in Park City. The series stars Oscar-winner Kevin Costner, who is also an executive producer, as the patriarch of a family that owns the largest contiguous ranch in the United States, which borders on Yellowstone National Park. (Rick Egan | The Salt Lake Tribune) The set for a trailer home for the new Paramount Network TV series Yellowstone at Utah Film Studios in Park City. (Rick Egan | The Salt Lake Tribune) The soundstage containing sets for the upcoming Paramount Network series Yellowstone at Utah Film Studios in Park City. The series stars Oscar-winner Kevin Costner, who is also an executive producer, as the patriarch of a family that owns the largest contiguous ranch in the United States, which borders on Yellowstone National Park. (Rick Egan | The Salt Lake Tribune) The bunkhouse set for the upcoming Paramount Network series Yellowstone at Utah Film Studios in Park City. (Rick Egan | The Salt Lake Tribune) The set for the Dutton House for the new series titled Yellowstone at Utah Film Studios in Park City. (Rick Egan | The Salt Lake Tribune) The bunkhouse set for the upcoming Paramount Network series Yellowstone at Utah Film Studios in Park City. (Rick Egan | The Salt Lake Tribune) The interiors of the Chief Joseph Ranch lodge, including this office, have been re-created at the Utah Film Studios in Park City for the upcoming Paramount Network series Yellowstone. (Rick Egan | The Salt Lake Tribune) The interiors of the Chief Joseph Ranch lodge, including this bedroom, have been re-created at the Utah Film Studios in Park City for the upcoming Paramount Network series Yellowstone. (Rick Egan | The Salt Lake Tribune) The interiors of the Chief Joseph Ranch lodge, including this master bedroom, have been re-created at the Utah Film Studios in Park City for the upcoming Paramount Network series Yellowstone. (Rick Egan | The Salt Lake Tribune) Stage crews prepare to shoot a helicopter scene Thursday, Nov. 16, 2017, for the upcoming Paramount Network series Yellowstone on a soundstage at Utah Film Studios in Park City. (Rick Egan | The Salt Lake Tribune) The upcoming Paramount Network series Yellowstone is taking up all three soundstages — which total 45,000 square feet — at the Utah Film Studios in Park City, pictured Thursday, Nov. 16, 2017. (Rick Egan | The Salt Lake Tribune) The bunkhouse set for the upcoming Paramount Network series Yellowstone at Utah Film Studios in Park City. (Rick Egan | The Salt Lake Tribune) The bunkhouse set for the upcoming Paramount Network series Yellowstone at Utah Film Studios in Park City. The series stars Oscar-winner Kevin Costner, who is also an executive producer, as the patriarch of a family that owns the largest contiguous ranch in the United States, which borders on Yellowstone National Park. Thursday, November 16, 2017. (Rick Egan | The Salt Lake Tribune) The interior of the Chief Joseph Ranch lodge, including this master bathroom, have been re-created at the Utah Film Studios in Park City for the upcoming Paramount Network series Yellowstone. (Rick Egan | The Salt Lake Tribune) The upcoming Paramount Network TV series Yellowstone is using all three soundstages — a total of 45,000 square feet — at the Utah Film Studios in Park City. (Rick Egan | The Salt Lake Tribune) The interiors of the Chief Joseph Ranch lodge, including this living room, have been re-created at the Utah Film Studios in Park City for the upcoming Paramount Network series Yellowstone. (Rick Egan | The Salt Lake Tribune) Utah Valley University student Mason Davis plays a helicopter pilot in the upcoming Paramount Network. (Rick Egan | The Salt Lake Tribune) The bunkhouse set for the upcoming Paramount Network series Yellowstone at Utah Film Studios in Park City. The series stars Oscar-winner Kevin Costner, who is also an executive producer, as the patriarch of a family that owns the largest contiguous ranch in the United States, which borders on Yellowstone National Park. (Rick Egan | The Salt Lake Tribune) The Yellowstone sets at the Utah Film Studios include the interior of a trailer is home to some of the upcoming series' characters. (Rick Egan | The Salt Lake Tribune) Stage crews prepare to shoot a helicopter scene Thursday, Nov. 16, 2017, for the upcoming Paramount Network series Yellowstone on a soundstage at Utah Film Studios in Park City. (Rick Egan | The Salt Lake Tribune) General foreman Christopher Rice talks about building sets for the upcoming Paramount Network TV series Yellowstone, which is being filmed, in part, at Utah Film Studios in Park City. (Rick Egan | The Salt Lake Tribune) Stage crews prepare to shoot a helicopter scene Thursday, Nov. 16, 2017, for the upcoming Paramount Network series Yellowstone on a soundstage at Utah Film Studios in Park City. (Rick Egan | The Salt Lake Tribune) The bunkhouse set for the upcoming Paramount Network series Yellowstone at Utah Film Studios in Park City. 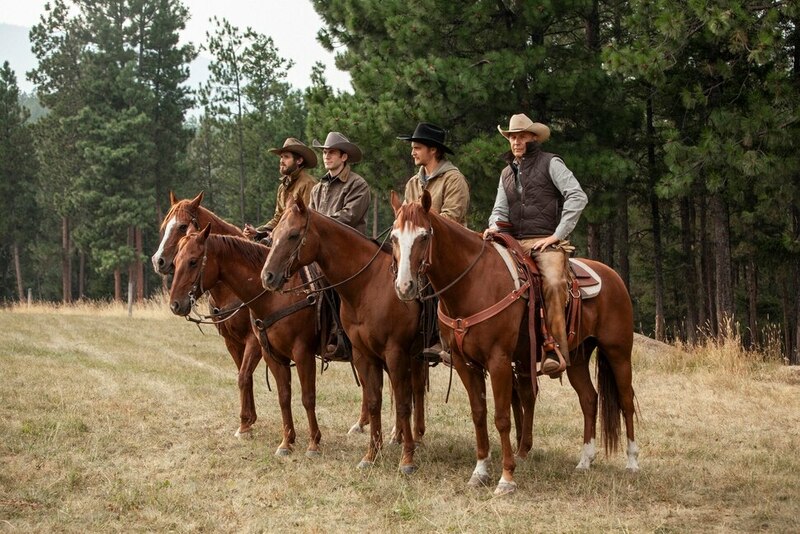 (Photo courtesy Paramount) Kevin Costner stars in the upcoming, made-in-Utah TV series Yellowstone. (Photo courtesy Paramount Network) Kevin Costner stars in the upcoming TV series Yellowstone, which was filmed largely in Utah. Part “Bonanza” and part “Dallas” — and yet a very different take on each — “Yellowstone” is both a sweeping saga and a prime-time soap of sorts that deals with big issues and engaging family drama. Just when you think you know where the two-hour premiere is going, there are surprises that change the course of John Dutton’s life and the series. No spoilers here, but there are a lot of characters and a lot of plot to unravel as the series gets going. But by the end of the premiere, “Yellowstone” is off to the races. The personal connection — Costner described Sheridan as “a kindred spirit” — is what drew him in and persuaded him to sign a multiyear TV contract for the series. From the sets to the locations to the presence of Costner — who couldn’t have come cheap — this is clearly an expensive production. 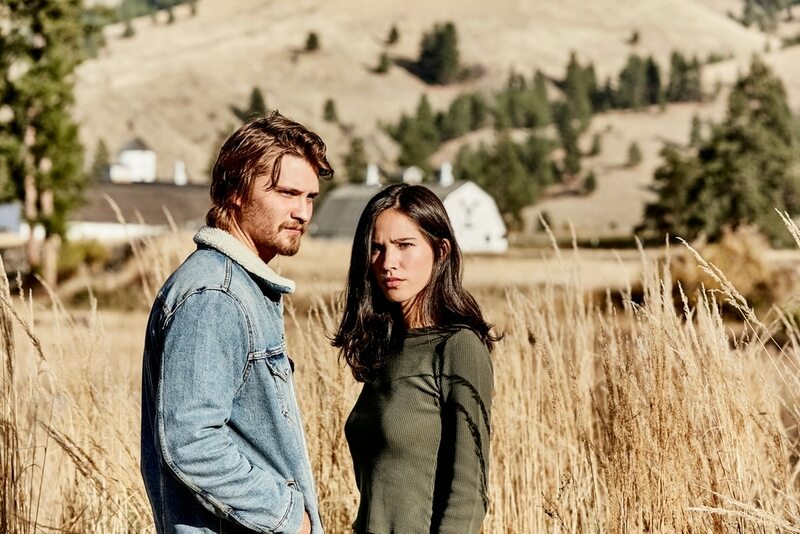 And Paramount readily agreed when he pitched the idea of shooting primarily in Utah — on locations and at the Utah Film Studio in Park City, where “Yellowstone” employed all three sound stages (a total of 45,000 square feet) and edited the series. The two-hour premiere of ”Yellowstone” airs Wednesday at 7, 9 and 11 p.m. on the Paramount Network — Channel 51 on Comcast; Channel 241 on DirecTV and Dish.